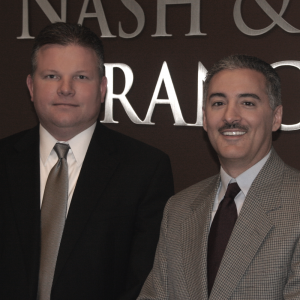 The Nash & Franciskato Law Firm is frequently in the local Kansas City news for our client successes, community involvement and recognition for the firm. The work we do for our clients has been recognized by leading industry publications and our peers. Super Lawyers®: The Nash & Franciskato Law Firm is proud to announce that Brian S. Franciskato and Randy W. James have been selected for the Super Lawyers Top Lists, making this the 10th year for this honor. Annual Coat Donation. The Nash & Franciskato Law Firm along with James Legal Services conducted its annual Coat Donation for the homeless at City Union Mission. Super Lawyers®: The Nash & Franciskato Law Firm congratulates Brian S. Franciskato for making the 2015 Super Lawyers list, making it the 8th year in a row. Best of the Bar: The Kansas City Business Journal has named Brian S. Franciskato in its 2015 edition of Best of the Bar. Brian has received this honor since 2012. Every year, through a peer nomination process, The Kansas City Business Journal honors the top local lawyers in private practice. Attorneys in Kansas City vote for their peers whom they feel represent the best of the legal profession. Honorees are recognized and featured in a special supplement of The Kansas City Business Journal.